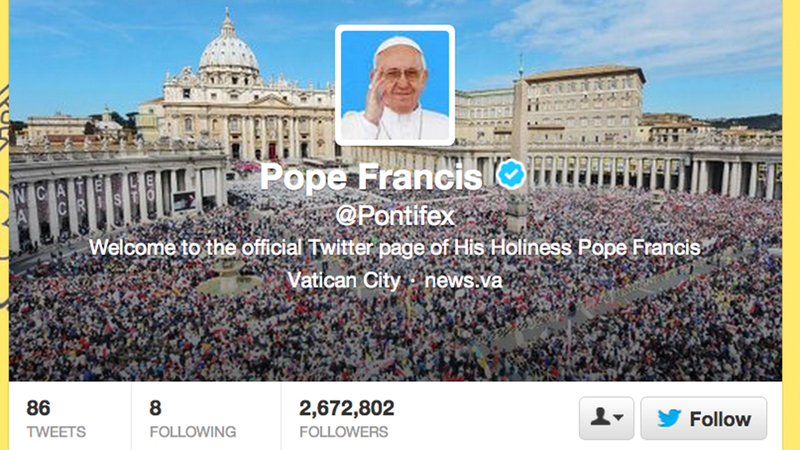 Things you can do to get time off of Purgatory: help the poor, volunteer, and now... follow the pope on Twitter. So next week is Catholic World Youth Week in Rio. Attending is one way to knock down the days on your Purgatory stay. But so is following along on Twitter. According to Vatican officials, if you follow @Pontifex for the Catholic Fest, you'll earn indulgences, or get out of hell free cards. As you may remember from your AP European History class, those are the thing that got a bad rap in pre-Reformation times because the church was selling them for lots and lots of money.